^ Lee, Elizabeth (1894). 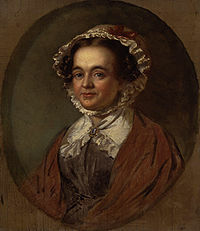 "Mitford, Mary Russell (DNB00)" . In Lee, Sidney. Dictionary of National Biography. 38. London: Smith, Elder & Co. p. 84. This page was last edited on 25 June 2018, at 11:54 (UTC).